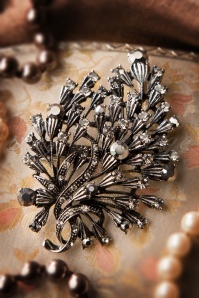 Clip this classy 20s Crystal Bouquet Brooch Hair Clip by Foxy on your outfit or in your hair for a super glamorous touch! 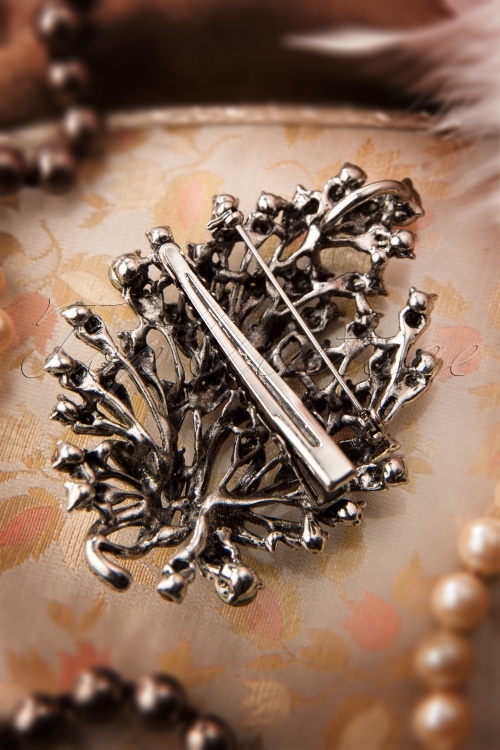 Every woman loves flowers and jewelry, so it's easy to fall in love with this fabulous brooch. 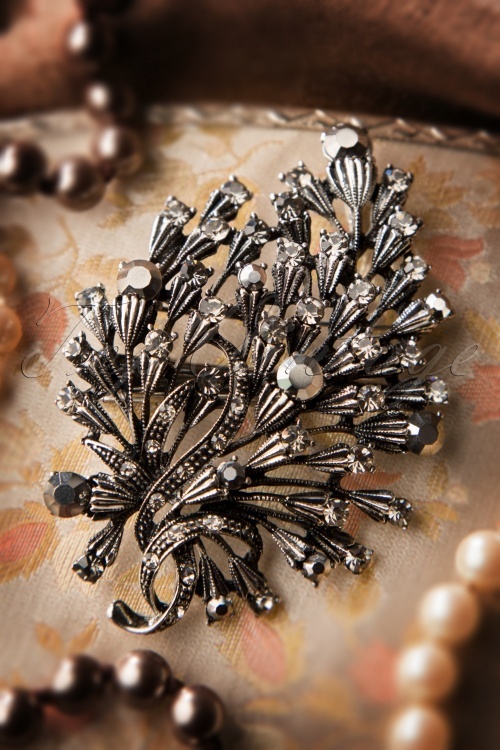 This gracious bouquet is made from pewter toned metal and is covered with shiny smoky rhinestones and a few big facetted stones. On the backside a pin closure, hair clip and an eyelet which makes it possible to even wear it around your neck. Love can sometimes be so sparkling!